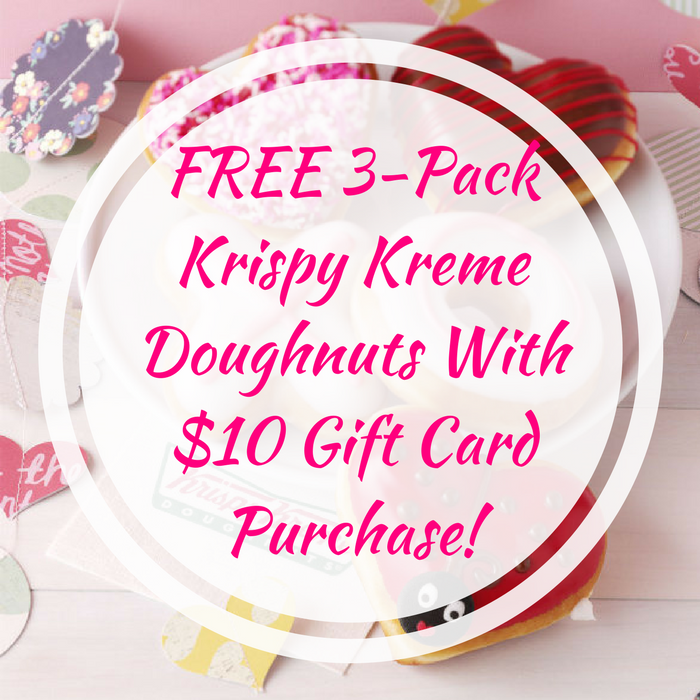 FREE 3-Pack Krispy Kreme Doughnuts With $10 Gift Card Purchase! You are here: Home / FREEbies / FREE 3-Pack Krispy Kreme Doughnuts With $10 Gift Card Purchase! Until February 14 only! Participating Krispy Kreme locations are offering a FREE 3-Pack Doughnuts with $10 Gift Card purchase! This is perfect for the Valentine’s Day! Don’t miss it!